I recently heard about Craftsy.com and I was intrigued. It is a site that is dedicated to providing on-line instruction (for a fee) related to a variety of arts and crafts. As someone who loves a project, Craftsy.com appeared to be right up my alley. The site bills itself as a place to find “endless inspiration to keep your hands happy.” Based on the breadth of topics included on the site, I don’t think they have oversold their scope. The topics include: Quilting, Sewing, Knitting, Photography, Art, Cake, Cooking, Baking, Jewelry-Making, and many more. All of Craftsy’s classes are on-line; they are offered at a variety of levels and include many specialized fields of study. One thing I have been particularly interested in lately is photography as I have been trying to improve the images for this site. So, I decided to explore the photography classes on Craftsy a bit more thoroughly. The photography section has free and paid classes at beginning, intermediate and advanced levels. Topics range from food photography, to landscapes, to portraits, to night photography. There are also classes in processing and publishing – for example using Photoshop and Lightroom – as well as classes about building a photography business. In addition to a variety of classes on each Craftsy topic, each topics also includes a blog as well as links to student projects, resources and materials. What I think is great about Craftsy is there is something for everyone. If you are a beginner who is simply interested in enjoying an art class, there is a class for you. 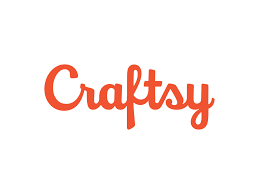 But, if you are a professional looking for ways to grow and expand your business, Craftsy has something for you as well. I know I’ll be looking for some photography/photoshop classes to improve my skills. In the process, who knows, maybe I’ll decide to take up knitting?